This graph shows the people under 25 actively looking for work as a percentage of the labor force (up to 25 years) for selected countries in Europe. 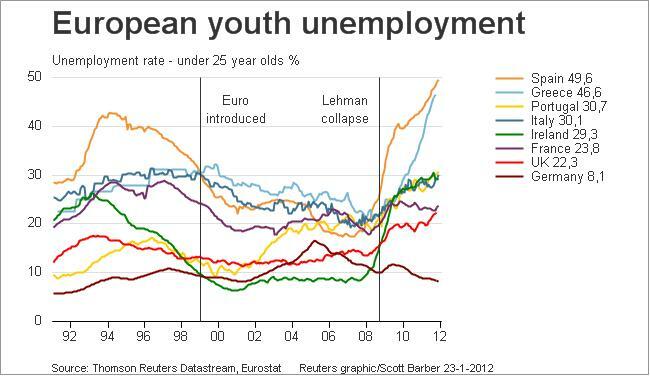 In other words the European youth unemployment. For most countries the youth unemployment declined before and after the introduction of the euro. Although this was not the case for Germany and Portugal where youth unemployment actually increased after the euro was introduced. In the United Kingdom youth unemployment was relatively stable until the crisis.